1) Does the PEMF Device Use Proven Earth Frequencies (0-50 Hz)? The landmark NASA study showed conclusively that lower frequencies were ideal to stimulate cell growth, repair and healing. And as we saw in the body-mind-earth connection our brains, bodies and cells resonate and operate at the same frequency window as the earth's Schumann and Geomagnetic frequencies, which we saw was 0-30 Hz. We know from medical science and Electroencephalograms (EEGs) that the brain operates from 0-30 Hz, which corresponds to low delta to high Beta brainwave frequencies. Further we saw in the studies of Adey and Bawin, and Sisken and Walker that our cells and tissues resonate to these same frequencies. Zimmerman and Seto's studies showed that the human body even EMITS or radiates these same frequencies which are detectable up to 16 feet away with a sensitive magnetic field detector called a SQUID magnetometer. And these are the same frequencies the earth provides via the Schumann resonance and the geomagnetic frequencies (and their higher harmonics). We went into detail in the last section on this connection, but it bears repeating in light of our discussion of the best PEMF device in which to invest. You want to make sure you use a device that operates in the range of 0-30 Hz. Not only does this make intuitive sense, there are hundreds of studies confirming this as the ideal window of frequencies to stimulate healing and repair in the body. So there is PLENTY of Research to Show that Lower Frequencies is what the cells, tissues and body resonate to. 2) Why a Biorhythm Clock is Important? Not only do you need a PEMF therapy device to give you the right frequency range (0-30 Hz), but you also need a built in biorhythm clock to give you the RIGHT frequency for the time of day. For example, in the morning, you probably want to be awake and alert so a Beta frequency (12-30 Hz) would be appropriate whereas before bedtime you will probably want to relax and prepare the body and mind for sleep with a theta-delta frequency between 0-7 Hz. It's interesting to note that even the earth's frequencies slow down a bit on the dark side of the earth, whereas in daylight the frequencies are slightly higher. So even though the body resonates to all frequencies in the 0-30 range, its ideal to use settings that are in alignment with the time of day and the wave patterns of the circadian rhythms of the mind and body. 3) What is the ideal Amplitude or Intensity? Next there is the Amplitude or intensity. We have talked a lot about the ideal frequency range for the body being in the of 0-30 Hz range (Adey Window), but there is also an amplitude window or intensity window that the body ideally responds. Within the cells, if the amplitude is too weak, there is no affect, if the amplitude is too strong it can be harmful. The graph to the left gives a visual of the range of both intensity and frequency plotted vs positive physiological effect. If either the frequency or amplitude is outside this window, the body and cells do not respond (favorably). Again research by Adey and Bawin, and Sisken and Walker; along with the NASA study and others has shown that a low intensity (within the earth range - 33-66 uT) OR LOWER, works best AND it is the safest. Our cells are so sensitive they can pick up signals even in the picotesla range (100,000 times weaker than the earths magnetic field). So, you know the old saying, sometimes “Less is More”. In Fact, when it comes to PEMF Therapy LESS is essential, beneficial and safe and MORE can be ineffective and even harmful. And there is plenty of research to suggest that the lesser field strengths (in the earth’s natural range and weaker) actually work better in clinical studies. Some PEMF devices on the market have intensities that are way too high. Don’t be fooled by companies that tell you that you need a stronger intensity to get results.The key is frequency resonance, not intensity. So look for a device that uses intensities close to what the earth provides. Also, if you are chemically sensitive, you will want to find a mat with lower intensity settings down to even nano- and pico-tesla range. Remember, "small is powerful", and "less is more"… The key is frequency and resonance, not a higher intensity! The Device Should be strong enough to handle problem areas yet safe enough to be in compli- ance with U.S and DIN safety standards. The DIN 0848 safety standard says the intensity should never exceed 400uT or 4 Gauss. But even better recommendations (because fre- quency is also taken into effect) are given by the INTERNATIONAL COMMISSION ON NON‐IONIZING RADIATION PROTECTION (ICNIRP). 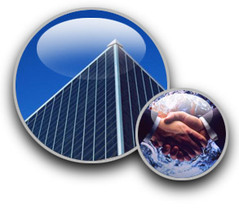 The ICNIRP is a world-wide authority on safety related to elec- tromagnetic energy. The EU and FDA both rely on their findings. According to the ICNIRP, the limiting values for safety of time varying PEMF are depend- ent on both the frequency (usually measureed in Hz) and the flux density (or Intensity - measured in microtesla). The higher the applied frequency the lower the limit value for intensity that is safe. This means, if you apply a very low frequency (like the earth fre- quency range 1-25 Hz) you are allowed to apply higher intensities. If the Frequency is OVER 25 Hz, the limit value for safety is ONLY 5 micro Tesla! (Note: the Earth’s NATURAL magnetic field is roughly 30- 70 microtesla and the Natural frequencies are roughly 0-25 Hz). 5) Is there a Sensitive Setting for Sensitive Individuals? It is critical to use only machines with low inten- sities between 0 and 70 uT (Micro tesla). This is what the Earth provides us and it is what is natural (Earth is Approximately 30-70 uT). So, you know the old saying, sometimes “Less is More”. In Fact, when it comes to PEMF Therapy less can sometimes be essential and more can be harmful. And there is plenty of research to sug- gest that the lesser field strengths (in the earth’s natural range) actually work better in clinical stud- ies. IMPORTANT: If you are chemically sensitive you will want to find a mat with a picotesla setting (very weak magnetic field). 6) Which Waveforms Deliver Maximum Benefits? Next there is the waveform of the signal. The signal shape is equally as important as the frequency and intensity. 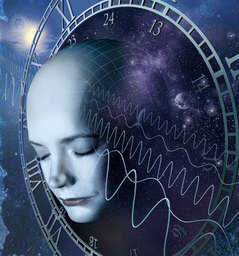 The NASA study demonstrated that a rapid time varying waveform is most effective for promoting healing and regeneration. There are two waveforms that meet this criteria, the saw tooth and the square wave; and ideally you'll want a PEMF device that has BOTH. Both the saw tooth and the square have rise and fall times that are far more abrupt than a simple sine waveform or triangle waveform. Again the more abrupt the rise and fall time, the greater the biological effect. A sawtooth waveform has the unique ability to deliver bunches of frequencies simultaneously. As we have seen, you'll want to make sure the range delivered is 0-30Hz. By using a full spectrum of frequencies you'll insure that all the varying tissues and cells get just the frequency they need. Also remember from Chapter 5 in the body mind earth connection, that Reiki healers as measured by Zimmerman, and Chi Kung Masters as measured by Seto emit a full range of frequencies from 0-30 Hz to jump start healing. According to Liboff the therapeutic value of a given pulsed signal is highly dependent on how rapidly the rise and fall time happens (Rosch 2004). The rapid rise and fall time represents a high peak voltage value that is responsible for ion displacement in the body and recharging cellular voltage. Greater ion displacement exerts a stronger biological effect. The quintessence of the 20 years of magnetic field research is found in this waveform shape for PEMF therapy. From the NASA study, we know that the Square wave is ideal for local application to break up cycles of pain and promote healing and regeneration. This was proven by NASA to be the most effective waveform for this purpose. This is why you'll want to look for the NASA proven square wave on the pillow and pen/probe/pen and other localized applicators on a PEMF device. So the ideal PEMF device would have a sawtooth waveform on the full body mat operating at primarily 0-30 Hz. This sawtooth will deliver a broad spectrum of these earth frequencies simultaneously and recharge the bodies 100 trillion cells. The beauty of PEMF therapy using a sawtooth waveform that is tuned to the earth's frequencies is that you only need 8 minutes, 2 times a day to fully charge and energize your cells. And the benefits last up to eight hours or more! If you have any form of injury or localized pain or health issues, you'll want to additionally apply a local applicator with a NASA proven low frequency, low intensity square-wave to promote pain relief, healing and regeneration. Squarewave Part 2: What does NASA have to say about PEMF Therapy? 1) Rapid time varying waveform - specifically square wave (sawtooth also fits this criteria but not a simple sine wave). A waveform (TVEMF) generator of original design and capability was developed and used to generate the waveform in a strength of 1-6 mA (AC) square wave, 10 Hz variable duty cycle, which was pulse-width modulated. NHNP cells were subjected to these extremely low-level magnetic fields (ELF waves) (~10 – 200 mGauss), which are far less than the field strength of the Earth. Initial results with the NHNP cells were quite startling, using extremely low-level magnetic fields (~10 –200 mGauss), below the magnetic field strength of the Earth itself (approximately 500 mGauss). We found the low-amplitude, rapidly time-varying magnetic fields exerted a very potent effect on the proliferation, morphology, and gene expression of the cells in culture, both in standard 2-dimensional culture plates (Fig 12) as well as cells organized into 3-dimensional tissue clusters (Fig 8) in the RWV. This study is a landmark in proving the efficacy of PEMF therapy on human cells for healing, growth and regeneration, specifically the stimulation of neural stem cells. This research summary is of necessity somewhat complex, because of the complexity of the science. It is likely to be mostly of interest to those who have a scientific or engineering background. Nonetheless, this summary serves to highlight the impressive and in-depth scientific and engineering background that served as the basis for using PEMF therapy. 7) Why you need a Full Body Mat with Pure Copper Coils & an Alternating Polarity? When shopping for an earth based PEMF device, it is ESSENTIAL that you get a unit with a FULL BODY MAT. There are many cheap portable and handheld devices that meet almost none of the criteria listed in this chapter such as they use the wrong intensities, frequencies and waveforms. But most importantly, they lack a full body application. To really tap into the benefits of daily PEMF therapy, you want to take a full body mat application or session twice a day for 8 minutes. This completely re-energizes the entire body and promotes a strong and coherent body-field to strengthen your health. Make sure to get a full body mat with pairs of pure copper, tightly wound circular coils for upper, middle and lower body with a decreasing magnetic flux from the head towards the feet. What this means is that you want ideally 3 pairs of coils (6 total), one pair for the head and neck, another for the torso and hips, and lastly one for and legs and feet. These mesh mats CLAIM to offer a more uniform field (and they do) but at the expense of giving both the feet and head the same intensity. This means you are LIMITED by the intensity the head can handle. Also, as we'll see next, the wire mesh mats cannot give you a PURE magnetic field. Medithera and QRS are two companies that use the mesh technology (pictured below from left to right are the Medithera, QRS closeup and QRS full mat view). Does the Machine Actually Have PURE Pulsating Magnetic Fields? Another important point from Physics 101 is that a pure magnetic field using an electrical current can only be created from a circular current loop. Several devices on the market use a wire criss-cross mesh with oval current loops surrounded by plastic tubing (see above images). Not only is this the wrong geometry to create a pure pulsating magnetic field, it also has spacing between consecutive turns which allows the magnetic field lines to be further distorted. Circular loops with multiple turns need to be tightly wound with no spacing to yield the cleanest and purest pulsating magnetic field possible (example below of pure copper, tightly wound circular coils). The criss-cross wire mesh mats do not have current loops and will NOT create a pure magnetic field. Also, it is pertinent to note that the NASA design for stem cell growth uses pure copper circular coils that are tightly wound, as does the NASA prototype for a PEMF installed spacesuit (Inside of iMRS full body mat pictured below with ideal pure copper coil and graduated intensity configurations). Make sure the device switches polarity every few minutes. This is important because the body will acclimate or habituate to a PEMF signal that is overly simplistic (like static magnets or a simple sine wave PEMF waveform). What this means is that you get diminishing benefits over time be- cause the body “get’s used to” a constant signal. The more complexity and variation in the PEMF signal, the better, providing the intensities and frequencies are in alignment with the earth. Polarity in a PEMF device is a little different than North and South polarity in a static magnet, so it’s important to clarify this. Because PEMF devices have no magnets, they use (ideally) pure copper current loops to generate pulsed magnetic fields. By Ampere’s law in physics, a current in a circular loop creates a pure magnetic field. But PEMF de- vices deliver currents that have a frequency and variation, so switching polarity simply means the current in the loop switches direction (from clock- wise to counter-clockwise or the reverse). This gives added variation to the signal so the body does not become dependent on the same wave- form. Other ways to increase variation are to use layers of frequencies, different frequencies for different times of the day, a biofeedback device that will continuously vary the session, etc. I know this is a little technical, but its critical for the long term effectiveness of PEMF therapy so you don’t get diminishing benefits over time. The iMRS PEMF system has the most variation (including polarity reversal) of any PEMF system on the market which means you will always benefit from using it long. 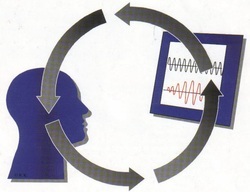 Biofeedback is the process of becoming aware of various physiological functions using instruments that provide information on the activity of those same systems, with a goal of being able to manipulate them at will. Processes that can be controlled include brainwaves, muscle tone, skin conductance, heart rate and pain perception. The beauty of using biofeedback to adjust intensities in a PEMF device is that it allows the user to relax and the system will automatically adjust the settings which the body needs for that given time and day. Only two devices I have seen for home use have a true biofeedback feature. Some claim biofeedback, but if there is no actual sensor hooked up to measure cardiac or brain wave patterns, it is impossible to have biofeedback. 10) Is the Unit Digital and Easy to Upgrade? Secure digital and SD card upgrades are connected to the serial number of the unit. 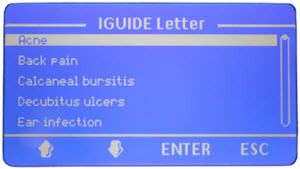 Allows for a database of protocols like the iGuide available on the iMRS unit (see question 13). Many PEMF systems on the market are still solid state and have no ability to be upgraded or changed UNLESS a whole new unit is made. This means everything is hard-wired and there is not ability to upgrade or add new software which is 1990’s technology. 11) Does it come with a database of Protocols for Various Conditions? If you are a health care provider, it is advantageous to have protocols for different health conditions available at your fingertips. Only one device on the market offers this feature for licensed health care practitioners. Like for example, the iMRS 2000 comes with a database of 284 conditions with all the protocols pre-programmed in. There are only a couple PEMF therapy devices for home use that are registered with the FDA which means they are FDA listed, FDA compliant and have met a stringent set of criteria necessary to be a medical device. If a pulsed magnetic therapy device is FDA registered, you can be assured it is manufactured with the highest quality electronic standards and meets all safety requirements. Doing some research on the FDA website, you can find a couple companies that claim to be FDA registered or compliant, while in truth they are actually NOT permitted to import their products to the USA as a medical device. They get around this by improperly labeling the device as something unrelated to health and wellness. Perhaps the most important consideration in investing in a PEMF device is looking for an established company with a long track record, constant innovation and a good reputation. Make sure the unit you buy is with a company that is always improving to make their product better. Unfortunately there are a lot of units on the market that have not changed since their inception or changed very little. And many others quickly come on the PEMF scene and go out of business. The best companies stick around are ALWAYS researching and working on ways to improve their technology. Make sure the unit has a good warranty. I recommend finding a PEMF machine with at least a 3 year warranty. These devices are expensive and very sensitive, so you want to make sure you are covered. And this also requires the confidence of an established company that has been around for a decade or longer, because if you buy a unit and the company goes out of business, so too does the warranty and support. Finally, there are only a couple PEMF therapy devices for home use that are registered with the FDA which means they are FDA listed, FDA compliant and have met a stringent set of criteria necessary to be a medical device. If a pulsed magnetic therapy device is FDA registered, you can be assured that it is made with the highest quality electronic standards and meets all safety requirements. Doing some research on the FDA website, I found a couple companies that claim to be FDA registered or compliant, while in truth they are actually NOT permitted to import their products to USA as a medical device. They get around this by improperly labeling the device as something unrelated to health and wellness. There are only TWO PEMF full body mat devices for home use in the United States that I have found that have legitimate FDA registration and compliance, which are Mediconsult and Bemer group (as of January 1st 2013). See the FDA site and make sure the company you are looking at is compliant and not on the list on the link below. Also, when you buy a PEMF device, you want to make SURE you have expert support available because everyone is unique and has a certain body type and every illness is different and requires a different protocol. 14) Is the Unit a Good Value? Price is always a big issue, but don’t confuse price with cost. If a device is priced at say $4000 and re- ally, really works to the extent that it helps prevent a $4000 surgery, how much does the unit really COST? 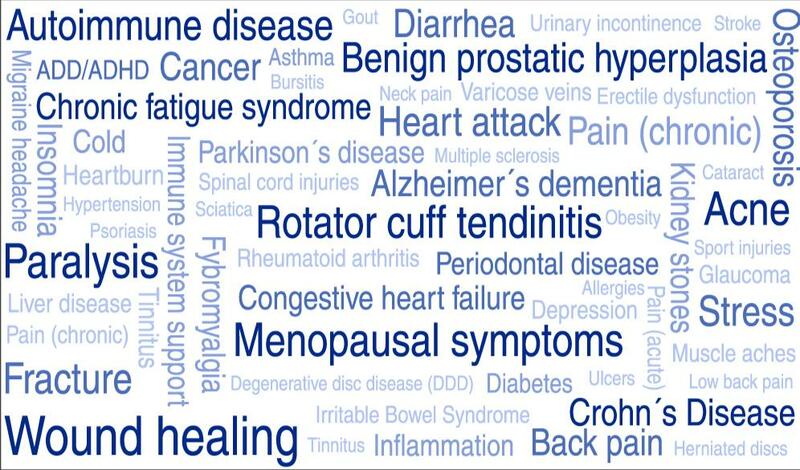 Not to mention the pain relief and added benefits that can come with a good PEMF device. Don’t settle for a cheap machine that will yield lit- tle or no results, because they actually could end up “COSTING” you more. 15) Does it Come Standard with At Least a 3 Year Warranty? Make sure the unit has a good warranty. I recommend finding a PEMF machine with at least a 3-year warranty. These devices are a little pricey and very sensitive, so you want to make sure you are covered. And this also requires the confidence of an established company that has been around for a decade or longer, because if you buy a unit and the company goes out of business, so too does the warranty and support. 16) Is the Mat Comfortable to use? Look for a nice padded mat that is comfortable even on a hard surface. Also the applicators should be convenient and easy to apply. 17) Is the Device Easy to Use? Look for a device that is easy to use and oper- ate. Some pulsed elec- tromagnetic therapy devices require a lot of training to use which can become an obstacle to getting fast and consist- ent results. Most PEMF devices on the market bring this electrosmog AC energy right up into the Control Unit during a PEMF session, which is many times is positioned close to the body, even the head. This is NOT good. You can tell these devices use AC because of the 3-prong plug they use and power cord goes RIGHT into the control unit with no converter box. You want a PEMF device that uses a converter 2-prong plug at the WALL and converts AC to DC (at the wall), so only a clean DC signal ends up coming into the control unit. This is especially important for people who are electrosensitive or chemically sensitive. What Kind of Training and Support Do You Include? Don't BUT Off EBAY AND AMAZON!! This question is not numbered because it is per- haps the most important. Most of the devices on the market will offer some sort of benefit with the right training and support. When you buy a PEMF device, you want to make SURE you have expert support available because everyone is unique and has a certain body type and every illness is different and requires a differ- ent protocol. So please listen to this tip above all else: Find a company, distributor or product that offers EX- PERT training and support by someone who has at least a couple years experience working with a wide range of body types and disease conditions.